Over the past thirty years, TMD has strategically grown our team to deliver comprehensive and expert technical support to transit systems of all sizes, modes, and geographic regions. 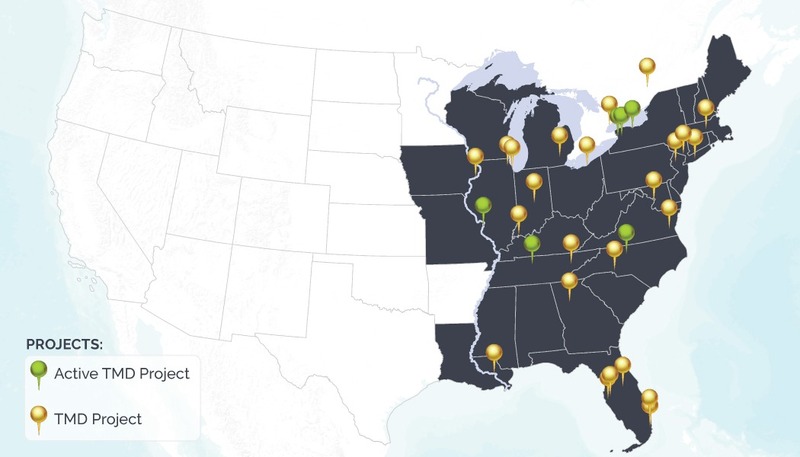 Our portfolio includes dozens of projects across the eastern United States, in addition to numerous other projects within North America, providing specialized services to agencies seeking assistance in achieving their service and operational goals. TMD East is our regionally-based team of highly skilled, former transit industry professionals with decades of experience serving some of the East Coast’s largest and most complex transit systems. This group brings local knowledge and a comprehensive understanding of bus and rail network planning and operations, scheduling, and transit system finance and administration. From satellite offices in New York, Philadelphia, Washington, DC, and Tampa, TMD East staff can more readily meet and collaborate with our clients throughout the eastern region. This team works seamlessly with TMD’s California-based project management and planning staff to deliver strategic, customized solutions that meet or exceed expectations.